50 Hours toward Yoga Therapy Teacher Training. We will focus on Biomechanics and the Subtle Body, along with an introduction to Chinese Five Element Theory. There is an individual one-on-one mentoring session with Cora included in the Module price, and required written homework for credit toward Yoga Therapist certification. Yoga has been applied with therapeutic intention for thousands of years, and Yoga Therapy is emerging as a discipline in itself. Health care practitioners include yogic techniques in their approach to healing, and more yoga teachers give therapeutic intention to their teaching. In these sessions, we begin to explore the body in a deeper, subtle way of energy connection to body, mind and spirit. The psycho-emotional effect from movement can only be enhanced with the power of our intention and attention. We will explore the concept of bringing attention inward to balance our outer and inner awareness. Each day has a focus toward Chinese Meridians, Pancha Vayu, Biomechanics and Gravity. Attraction is a force that brings objects to each other. Newton’s law tells us that ALL objects attract each other with a force of gravitational attraction, so Gravity is universal. Learn how gravity affects your yoga asana, and how understanding biomechanics can help to uncover a light and powerful exploration of your practice. Body movement shows an external display of Yoga, yet Yoga is not limited to this external movement. 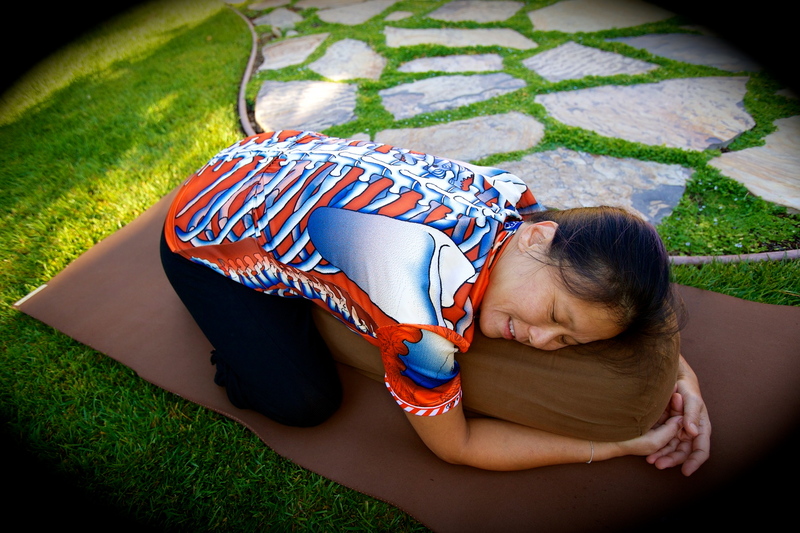 Asana practice strengthens bones and muscles, internal organs, and affects the mind and temperament. Coordination, cooperation and collaboration are needed with every flow of hand, eye, body, foot and senses. Discover how to work with your internal organs, circulate the flow of inner movement that generates external strength.